Want to build your email list fast, or get the word out about next week’s product launch? Some marketers swear by solo ads. And while solo ads can work, they’re not for every business, and they can be a risky investment. Keep reading to see if they’re right for you. Anyone who’s been in affiliate marketing for a while will have heard of solo ads. But if that’s not your business, here’s the skinny: Solo ads are email-based advertisements you buy from other email list owners. 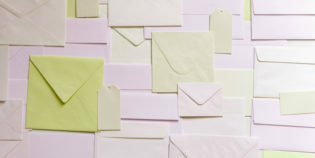 They’re typically sent as dedicated emails – so the entire message is all about your promotion. They work like this: You find a solo ad list you’re interested in. You contact the owner or buy access to the list from their site. You buy either by how many subscribers your email message will be sent to, or by how many clicks your email will get. If all goes well, those subscribers will click, and those clicks will convert well. In the end, you’ll end up with solo ad conversions that cost less than other types of advertising. But it’s far from perfect. Solo ads, in all honesty, have a hazy reputation. Many companies don’t touch them. They typically work best for affiliates and information marketers. That said, there’s also a lot of marketers who say they owe their business to solo ads, that solo ads were how they got their start. So it’s worth your time to at least know how they work. Marketers who have a bit of budget. Got a couple hundred dollars? That’s enough to do some basic testing with solo ads. If you’re in a niche where pay per click prices are through the roof. In this case, your cost per click from solo ads may be so much less than what you’d get on AdWords or Bing that solo ads are worth a test. If you’re in a niche that’s completely oversaturated with content (like affiliate marketing or weight loss). If you’re in a niche with intense competition for search engine traffic. If you’re about to launch a product, or if you need traffic sent to a page quickly. You’ve got no time to write guest posts, build an audience, or do anything that takes more than a few days to see results. Solo ads are typically offered by one-guy (or one-gal) sellers. In other words, you’re dealing with the list owner directly. Because of this, there’s some risk involved. There’s even more risk involved because some solo ad lists were built with less-than-ideal methods. In a best-case scenario, the list might have been built by converting traffic from a website that’s in your niche. Or maybe the list owner bought advertising and converted it with a squeeze page. But it’s also possible the email addresses on the list you’re about to use were acquired with “scraping” software. That’s a program that just goes from website to website, gathering any email address it comes across. As you can guess, those email addresses tend to convert poorly. It’s likely the list you mail to will be somewhere between those two poles of good and awful. But consider yourself warned: There are a few shady people in the world of solo ads. If it sounds too good to be true, it probably is. Avoid people who make big promises. Use forums, friends and any online resource you can find to verify that the list owner and their list are worth your money. Do a couple of careful searches for the list owner’s name and website. Check out their social media accounts. Check forums to see if anyone’s complained about them. Start small. DO NOT drop $1,000 on a list the first time out. Start smaller – preferably as small as the list owner will let you. Expect to test 3-5 lists in a limited way before you move ahead with a bigger investment. Not every testimonial you read online is true. Sad to say, but some sites are still posting fake testimonials. Don’t think everything’s fine just because you read 10-20 glowing reports on somebody’s site. Ask the owner how their list was built. Of course, they may not tell you the truth, but at least you’ve asked. And hopefully you’ll get a realistic answer back, like “I build this list by buying Facebook ads and sending them to a squeeze page”. If that’s the answer you get, consider asking to see the squeeze page. Try to hit the sweet spot between asking enough questions to be confident, and asking so many questions that it becomes obvious you think they’re a scammer. Ask them how often they mail to that list. They may say every day. That’s not a total red flag, as some lists as used to being mailed to that often. But if I was buying a solo ad, I’d want to hear that they mail to that list no more than 2-3 times a week. Ask them which type of offers do well with their list. Is this a list that’s great for capturing email addresses, but not so great for high-ticket items? Is this a list that likes free trials, or free ebooks? Do they tend to like video tutorials, or text autoresponders? If you have time and the will to do it, consider crafting the email message you send so that it appeals to what this list responds to. Ask them how they process hard bounces. Well-managed email lists remove subscribers after one hard bounce. Some will stretch that to two hard bounces. If you get an answer like “we don’t track bounces,” move on. Ask them what their spam complaint rate is. Any more than 0.2% and you’ve got a red flag. An “average” spam complaint rate is roughly 0.1%. And finally – ask them what their list’s average response rate is. You want to know what the average open rate is and what the average click-through rate is. If you can, try to find out what the typical conversion rate is for, say an email opt-in squeeze page. They may say “Hey – every landing page is different. Every email is different. I can’t help it if yours is terrible.” And that’s true. Some of the friendlier list owners might point you to landing pages that recent buyers have used and say “this converted at 8%”. They might even show you the email creative that was sent to their list. The more information you can get the better… just don’t go crazy trying the copy the email or the landing page. Editor’s note: GetResponse recently published an email marketing study that analyzed over 4 billion emails. 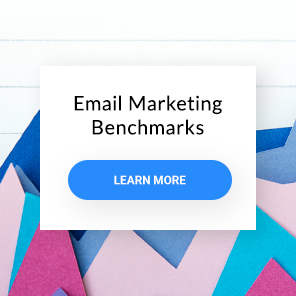 There, you can check both the average email open and click-through rates as well as the average landing page conversions for different industries. There are quite a lot of sites that will sell you access to their lists. I am not going to specifically recommend any of them to you. Why? Because what works for one person is not going to work for another. Even if you’re in the same niche – say weight loss – the people you’re targeting and who’s actually on the list may not be a match. In other words, it’s entirely possible two competent marketers could both mail to the same list and get wildly different results. While I just can’t recommend specific solo ad sources, I do recommend you check some of the larger forums in your niche. Post a thread and ask if anyone has had success with solo ads, and who they used. If you’re in affiliate marketing, the Warrior Forum is an ideal choice. Many participants there do sell solo ads, and some people have had good results with them. And because good forums are communities, if someone is scamming people with a terrible list, you’ll know from the forum threads. Of course, you can also just Google “solo ads” and you’ll get a slew of companies offering to sell you one. A few of them may be good. Just follow the suggestions above, and start small. As with any business investment – don’t spend money you can’t afford to lose. Advertising is always a risk. There are no refunds. Please don’t drop a bunch of cash just because you’re feeling impatient. There are other (slower, yes, but other) ways to get traffic, build an audience, and eventually start making sales. This is a crux of the decision about whether to use a solo ad or not. Here’s how the math might look. I’ve included two scenarios for those solo ads. That’s because you never know what results you’re going to get. The best you can do is figure out a realistically decent result, and see how that compares to your current cost per conversion. Then run the numbers again with worst-case scenario results. If you can still get a cost per conversion that doesn’t scare you, this might be a solo ad worth the test. Please be warned, though. The quality of some of these lists is mind-bendingly bad. I once sent a solo ad to 100,000 people. It got an okay click-through rate – 2% – but not one sale. Not one sale from 2,000 clicks. If you want help calculating cost per conversion, check out ClickZ’s CPA calculator. It does the job nicely. If this all sounds really tempting, but you’re too broke to test it, there is an alternative. Create a nice ebook, or some tutorial series. Make it good enough to be worth $5-$10. Set up a landing page and write some email copy to sell it. Consider setting up a simple affiliate tracking system, too – you’re going to need to verify the sales. Now reach out to a couple of list owners in your niche. Here’s your pitch: You send my email to your list, and I’ll give you all proceeds from the sales. But I get to keep the email address of anyone who orders. You will be exposing your brand and your little $5 product to a new audience. You’ll be building your list – but not with just everyday subscribers. You’ll be getting subscribers who are willing to put down money for what you sell. That’s a much more valuable subscriber than someone who’s never bought. 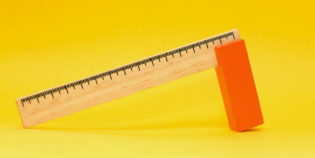 Your list partner stands to make a reasonable chunk of change. At least enough to make it worth their time. You list partner may want the landing page and shopping cart to be on their site. You may also have to play around with how much your product should cost. Maybe the list owner wants it to be $2. Or $10. Run the numbers and make as good a deal as you can. After even a couple of deals like this, you’ll have built yourself a small but highly-responsive list of buyers. That’s something a business could be built on. For some businesses, solo ads work great. They’re an affordable way to build a list fast or to blast exposure for a product launch. But there are some sob stories of people getting burned. And there are other sob stories of marketers simply not doing their homework and thus getting really bad results. If you don’t screen a list carefully, and you haven’t picked a list that’s suited to your business, don’t complain if you lose money. And please, start slow. You won’t really know how your email/landing page creative performs until you’ve tried it across 3-5 lists. Just because your creative tanks on one list does not mean the owner is a scammer. It may just mean their list doesn’t care for your offer.